Jabardasth fame Shakalaka Shankar he is one of the most popular comedians among the young generation of actors. 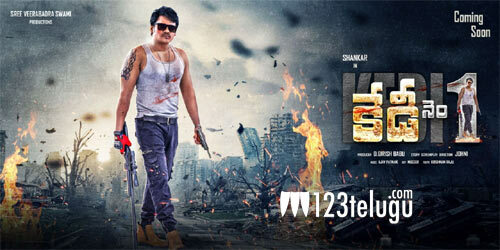 Shankar recently turned hero with Shambho Shankara. However, it turned out to be a flop venture. Undeterred, Shakalaka Shankar is lining up two films as hero, Driver Ramudu and a new film titled Kedi No 1. Kedi No 1’s first look poster was released today. Johnny is directing the movie while D Girish is producing it. On the other hand, Driver Ramudu is gearing up for release very soon.